”iOS12”の問題を解決Show posts in this category. ”知らない”を解決【初心者の為の基礎知識】Show posts in this category. ”iOS11”の新機能＆問題を解決Show posts in this category. 新型iPhone情報！Show posts in this category. ”iPhoneX”の問題を解決Show posts in this category. ”バッテリー充電”の問題を解決Show posts in this category. ”AppleID”の問題を解決Show posts in this category. ”パスワード”の問題を解決Show posts in this category. ”Wi-Fi＆通信”の問題を解決Show posts in this category. ”アップデート”の問題を解決Show posts in this category. ”初期化”の問題を解決Show posts in this category. ”バックアップ”の問題を解決Show posts in this category. 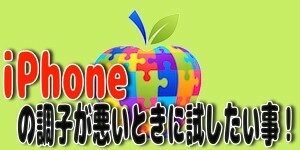 ”iPhoneの動作”の問題を解決Show posts in this category. 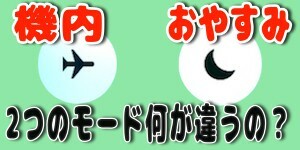 ”機能＆設定”の問題を解決Show posts in this category. ”指紋認証”の問題を解決Show posts in this category. ”機能制限”の問題を解決Show posts in this category. ”セキュリティ”の問題を解決Show posts in this category. ”水没”の問題を解決Show posts in this category. ”ボタン故障”の問題を解決Show posts in this category. ”画面表示”の問題を解決Show posts in this category. ”文字入力”の問題を解決Show posts in this category. ”機内モード”の問題を解決Show posts in this category. ”電話”の問題を解決Show posts in this category. ”通知”の問題を解決Show posts in this category. ”音”の問題を解決Show posts in this category. ”Siri”の問題を解決Show posts in this category. ”アプリ全般”の問題を解決Show posts in this category. ”AppStore”の問題を解決Show posts in this category. ”Safari”の問題を解決Show posts in this category. ”メール”の問題を解決Show posts in this category. ”カメラ＆写真”の問題を解決Show posts in this category. ”マップ”の問題を解決Show posts in this category. ”YouTube”の問題を解決Show posts in this category. ”AppleMusic”の問題を解決Show posts in this category. アプリ紹介Show posts in this category. PRShow posts in this category.